2010, Berwick Court Publishing Co. Publisher: Berwick Court Publishing Co.
Good. Offered by the UK charity Langdon: supporting people with disabilities. Good. 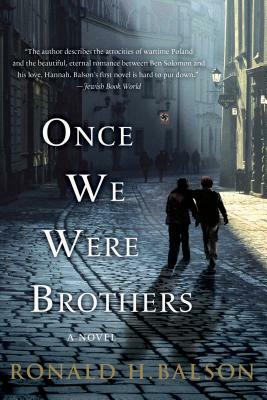 Once We Were Brothers (Liam Taggart and Catherine Lockhart) by Balson, Ronald H., 2013-11-27. Trade paperback (US). Glued binding. 394 p. Liam Taggart and Catherine Lockhart, 1. Select 2010, Berwick Court Publishing Co.
Could not put this book down. It is about a couple, one a German Jew and the other a Czech. How two privileged people start their lives with so much hope and what happens to them before WWll, during, and after. Quite a book. I recommend it highly.